This week I had the pleasure of observing the work of one of the North East’s most sought after choreographers, Dora Frankel, while she rehearsed sequences for her next show ‘One Small Step, One More Step’. Having made her acquaintance a few weeks ago, and having mentioned that I was undertaking research into the world of dance for my next novel, Dora agreed firstly to be interviewed by me, and secondly to allow me to sit in while she developed her next work in progress. 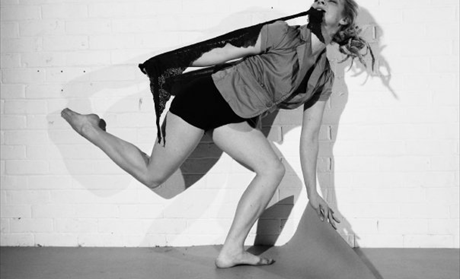 ‘One Small Step’ will see daylight as part of 'Bridging The Gap', an evening of performances, music and events. 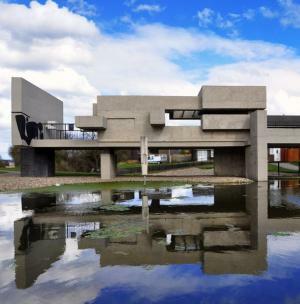 It is a site specific performance that will take place on and around The Apollo Pavilion in Peterlee, a concrete pavilion which is the work of the artist Victor Pasmore. The show promises to be a striking synthesis of visual art, dance and sound with the composer Peter Coyte supplying a varied, visceral soundtrack for it. Although my novel is set ostensibly in the world of ballet, I was particularly intrigued to learn about the life of a dancer – most specifically how such a subtle, athletic pursuit manifests in the day to day. My novel is concerned with the life of a Russian dancer, Yelena, who captures her often complex inner world in a series of letters to Noah, her former lover. Writing from this viewpoint I was very keen to therefore gain an insight into how dancers interpret and respond to the challenges of their life. How they respond to internal pressures, what parts of their work they enjoy and how this focused form of work impacts upon them personally. From an outsiders’ point of view, the success of a dance performance seems contingent upon realizing the refined visions of a select few people, and I was particularly intrigued at how dancers and choreographers would interact to enable this. As Dora succinctly put it ‘dance makes the invisible visible’. In the dance hall Dora was working with two dancers, Holly Irving and Natasha Kowalski, who were bringing to life Dora’s visions of a series of dance suites with what seemed to be a minimum number of props. Over the course of the few hours I got to see just how many different styles of dance Holly and Tasha were able to spontaneously perform. Until this week my view of choreographers were that they were probably all similar to the public perception of the rather brooding, incisive type as personified in The Black Swan. I was surprised therefore to see how enjoyable the process seemed to be, with Dora guiding the expression of her dancers interpretations while at the same time maintaining a strong vision. As I tried to find a back seat in the hall, the dancers worked through a sequence driven by a pulsating, urban piece by Peter Coyte. It sounded like a hybrid of Aphex Twin and The Prodigy, with the dancers moving in a provocative, confrontational style that was evocative of grimy urban tenements, thick with the promise of inevitable violence. Peter Coyte worked from behind a bank of keyboards and glittering computer screens to supply a dextrous soundtrack that was constantly enthralling. I learnt only later that he’s worked alongside musical heavy weights such as Metallica, Bush and the Human League.